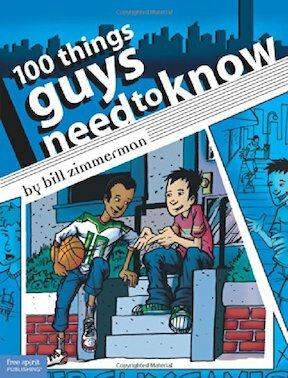 Boys need and want advice on all kinds of issues, for all kinds of problems, questions, and concerns. Often, they don’t know who or how to ask, and it seems to them that most self-help books are written for girls. Everything about this book is for and about guys. Graphic-novel-style illustrations engage even reluctant readers. Quotes from real boys, results from a nationwide survey, inspiring stories, facts, and anecdotes keep them interested. Journaling prompts invite boys to think about each topic and what it means to them—from family life to fitting in, showing emotions, bullies, school, peer pressure, failure, handling anger, and more. Positive, practical, and affirming, 100 Things is just what boys need in a world of mixed messages on what it means to be male.